The number of obese people needing specialist transport to get them to medical appointments has more than doubled in five years. Scottish Ambulance Service records show that support was required by 3,164 patients across the north and north-east last year because of their weight. That is up from 1,566 in 2011/12, and easily outstrips the 80% rise seen across Scotland in that time. It also bucks the national picture of a slight fall last year. In the NHS Highland area, the number almost quadrupled from 437 to a massive 1,705 – the fourth highest in the country. The Grampian area recorded a 30% rise from 1,095 to 1,423. Orkney’s figures also increased from three to 12, and Shetland from four to 14. The only drop was seen in Western Isles where 19 patients needed help last year, compared with 27 five years ago. It relates to those using Patient Transport Service (PTS) vehicles and not emergency ambulances dealing with 999 cases. Details of the dramatic rise were uncovered by Scottish Conservatives using freedom of information laws. 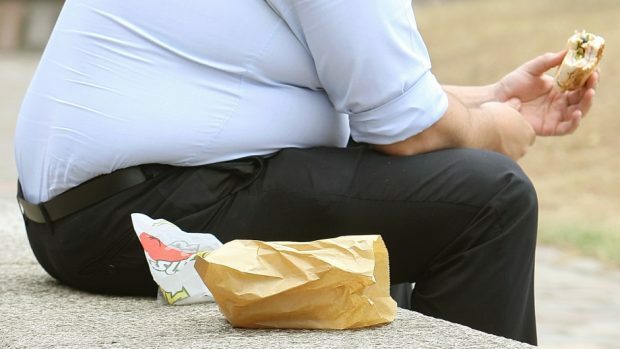 North East MSP Ross Thomson said: “This is the latest in a series of indications that obesity is becoming one of Scotland’s greatest public health challenges. Bariatrics is the branch of medicine that deals with the causes, prevention, and treatment of obesity. “The ambulance staff on the Patient Transport Service provide invaluable help for both patients and the NHS,” Mr Thomson added. The Scottish Ambulance Service said it was monitoring the numbers of requests in Highland. “We continue to invest in training and equipment to ensure bariatric patients receive appropriate care and can be moved safely,” a spokeswoman said. “The majority of our frontline emergency vehicles are bariatric capable, as are nearly all Patient Transport Service vehicles purchased since 2007. “Enhanced specialist bariatric equipment is held at Inverness… for patients with complex needs. Patients requiring help because of their weight made up only around 2% of the 900,000 people who used the transport service each year.